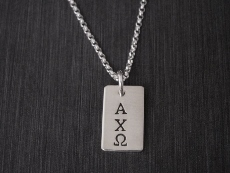 Show your greek pride with our sorority necklace. Choose from discs, rectangles, and hearts. They are stamped with your greek letters then hung from a ball, rolo, satellite chain. 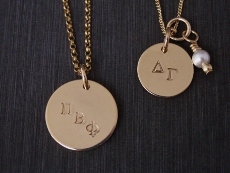 Hip tip: Try adding a charm or colored bead to the represent your sorority.